While I was traveling to Atlanta last week, I bought the new issue of Domino at the airport. I loved the fresh look of the color and when I saw that this issue's central theme was color, I was excited to delve into it. In her editor's letter, editor-in-chief, Michelle Adams recounts the story of how she and creative director, Robert Leleux came up with a list of the most inspiring colorful places they'd ever visited and just how enjoyable those spaces might be day after day. I love to use color in my design work, but completely understand what Michelle meant. While a brightly lacquered library dressed in rich color upon color might be gorgeous to stare at, not everyone can commit to living with such a bold use of color. The new issue of Domino has several great examples of how to live with color in various ways. Have you read the new issue of Domino? What were your thoughts? 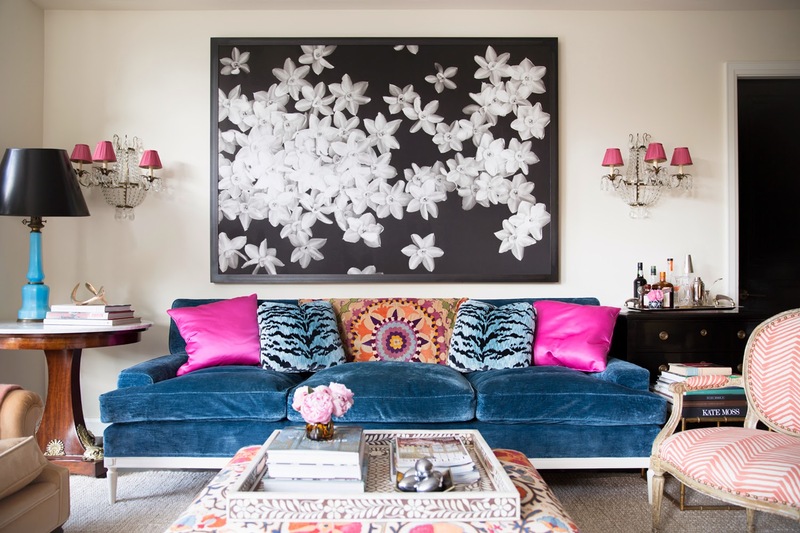 When it comes to decorating with color, do you take a similar approach to any of the designers mentioned here? For me, it all depends on the project. 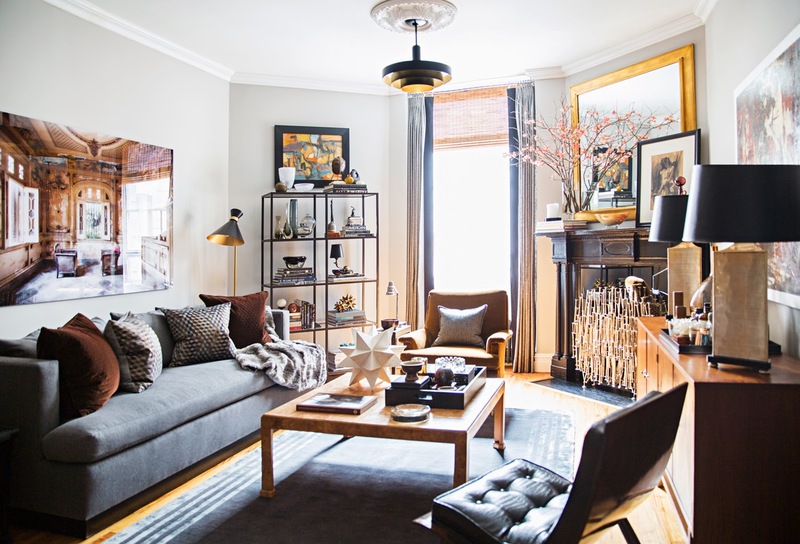 In my own home, our house is rooted in neutrals-- rich chocolate brown, white, black, and grey with touches of pattern and pops of color throughout. 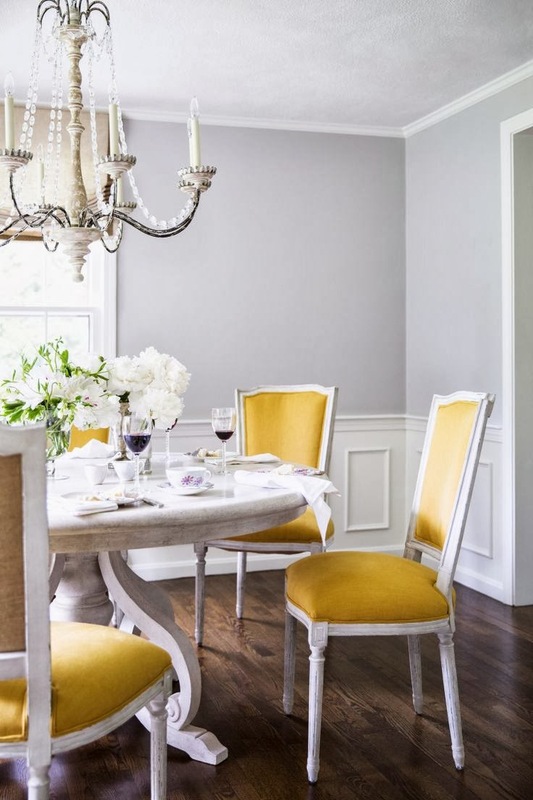 For clients, I've done everything from super rich, tone on tone color to decorating with a predominantly neutral palette featuring a single pop of color. It really just depends on the person's comfort level with color, but it's great to see that so many different approaches can yield such beautiful results. I think I need to pick up Domino too because I love color! That Nick Olsen room is fantastic. I love the couch. 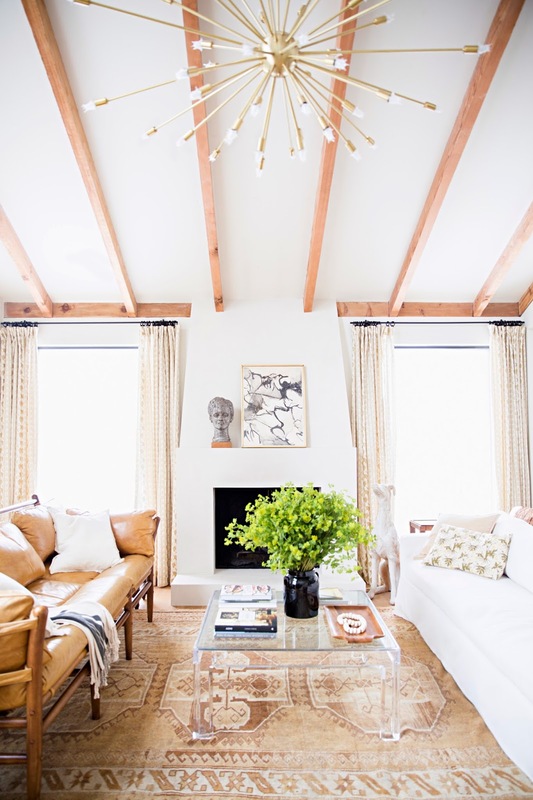 Tell Lauren that her home looks amazing--the Lucite table is great and so is the Sputnik chandelier! I tend to be SO color-cautious... afraid to make a big commitment I might regret! But these pictures sure are encouraging me to take a risk. Gotta pick up a copy for myself! so much color! i agree with lily. i am super color cautious. would need someone to come add some pop to my place!